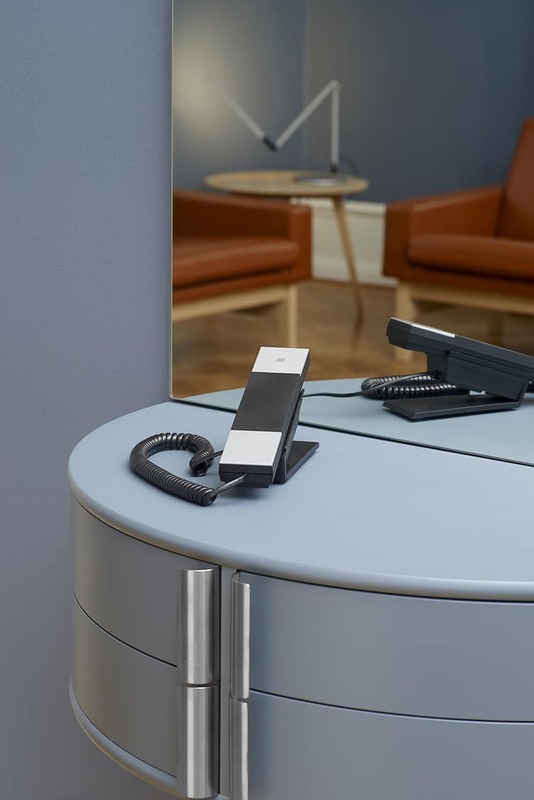 The IP20 guestroom phone, created by the Danish design powerhouse Jacob Jensen, features a simple, clean design with crisp lines. This modern unit is so streamlined, that it contains the keypad within the handset. 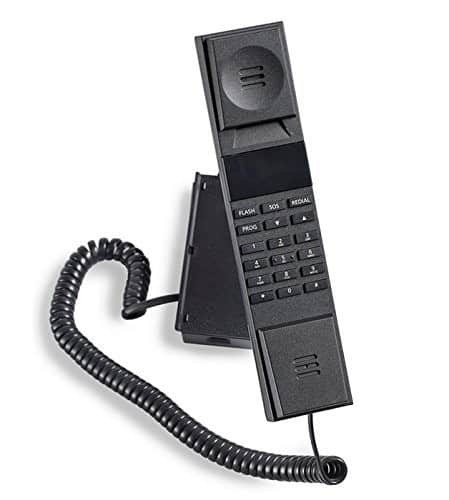 Based on the iconic Telephone 1, the IP20 retains the classic Jacob Jensen lines but adds several Hotel friendly features including SIP compatibility. The Jacob Jensen IP20 is everything that today’s hotel designers dream of for in-room equipment. 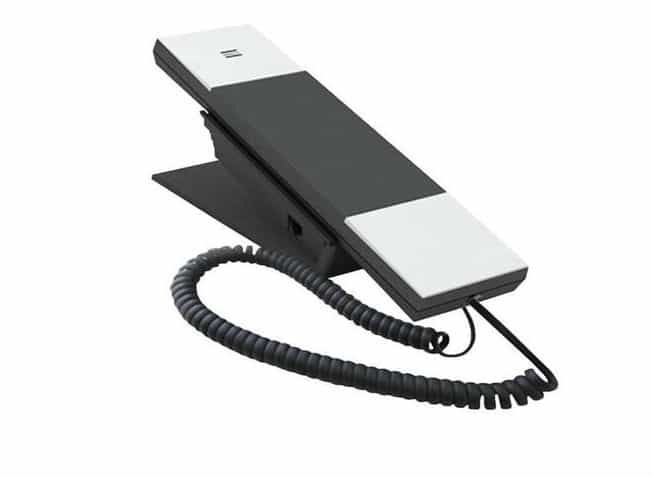 To blend the device with room decor the IP20 handset can be freestanding or mounted on the wall.